UPDATED: Congratulations to Craig (forum user csp131), who was the winner of this sweepstakes! Additional details can be found in our sweepstakes forum post. During our last podcast, we couldn't stop gushing about how much we were loving Disney Infinity for its openness in the Toy Box mode and for the defined adventures in the play set worlds as well. As we've been playing more and more, we've realized the potential of the power discs and the extra characters in the game (for unlocking special missions and vaults). 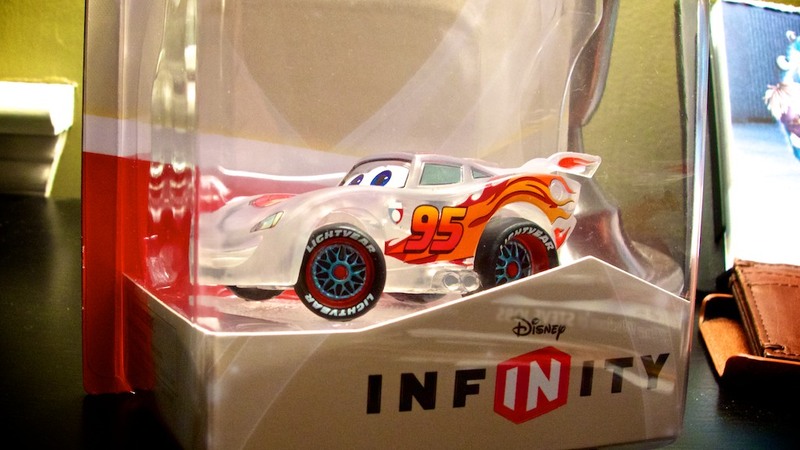 Well, today we wanted to start a new giveaway for a Disney Infinity Lightning McQueen "Crystal" figure. The Crystal figures adds a bonus element to the game that allows you to gain experience points and re-generate health faster than the standard Disney Infinity characters. 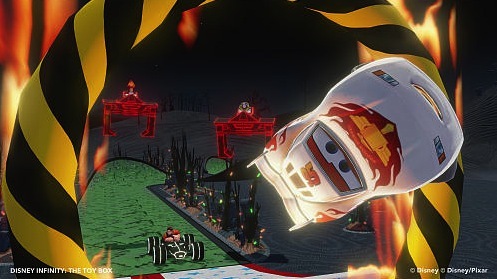 At this point, Lightning McQueen is the only Crystal figure to be released, but based on the "Hall of Heros" in the game, it appears that there are expected to be a total of eight additional Crystal figures that will eventually be released (total of nine). 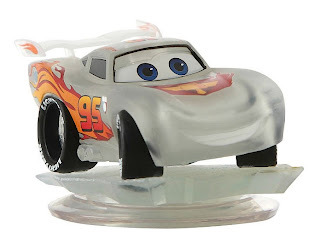 Since Lightning McQueen is a bonus character, we thought it would be a fun giveaway for someone that may not have bought this Lightning character yet. 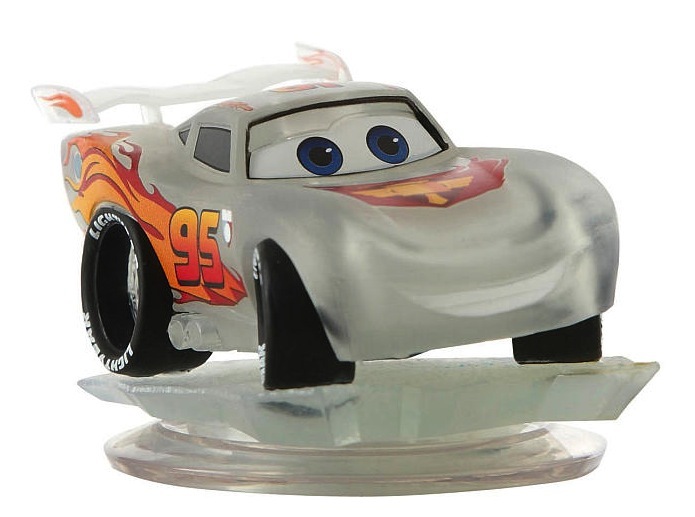 With the Crystal Lightning McQueen you can play in the Toy Box mode as well as the Radiator Springs Play Set (the Radiator Springs Play Set is sold separately and includes Holley Shiftwell ). 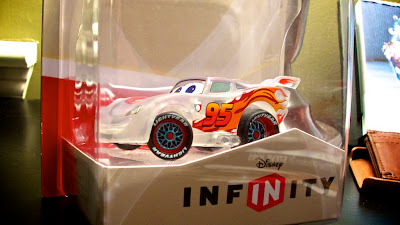 All you have to do to enter our giveaway for the Disney Infinity Lightning McQueen "Crystal" figure is log in (or sign up) to the Pixar Post Forum and leave a comment on the forum post letting us know one thing you like about Disney Infinity (but be sure to read the rules and qualifications below for verification purposes - entrants that do not meet the giveaway qualifications will be eliminated and another user will randomly be chosen). To enter, you must be at least 18 years of age and live in the 48 contiguous United States. The Pixar Post Forum is free to sign up for and the character is completely free as well (even shipping the figure to you). For our readers who are under 18 years of age, you may have a parent sign up on the forum and enter, but you may not enter our on their behalf. How many times can you enter? Only one entry per person. The giveaway will remain open from Tuesday, August 27, 2013 at 11:00 AM Pacific Standard Time to Wednesday, September 4, 2013 10:00 PM Pacific Standard Time. One random winner will be chosen once the contest is closed and will be contacted by us through the forum. Once the winner claims the figure, it will also be announced in the forum as well as our original post on PixarPost.com (by their first name and last initial). Log in (or sign up) to the Pixar Post Forum and enter here - contest is now closed. Good luck and get ready to race!